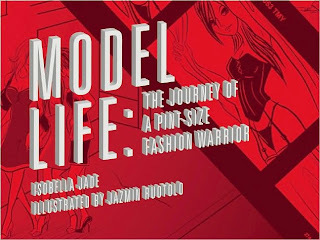 I made by hand and with patience and some swearing this video book trailer for my fashion illustrated graphic novel "Model Life: The Journey of a Pint-Size Fashion Warrior." Illustrated by Jazmin Ruotolo. It is not a perfect trailer but I am not perfect, so it is ok.